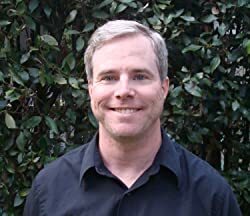 At age 15, Andy Weir was first hired as a programmer for a national laboratory and has been working as a software engineer ever since. After he had given up hope of getting an agent or publisher, his career as an aspiring writer took a dizzying turn in 2014. He decided to post THE MARTIAN, his debut sci-fi novel, online. The excitement it generated led to a spot on the New York Times bestseller list, widespread critical acclaim, a book deal with Crown Publishing, sales of 180,000 copies -- and a film adaptation directed Ridley Scott and starring Matt Damon. Please enter your email address and click the Follow button to follow Andy Weir!